On October 1, 2008 Nevada required encryption for all electronic transmissions of personal information outside of secure networks (NRS 597.970). 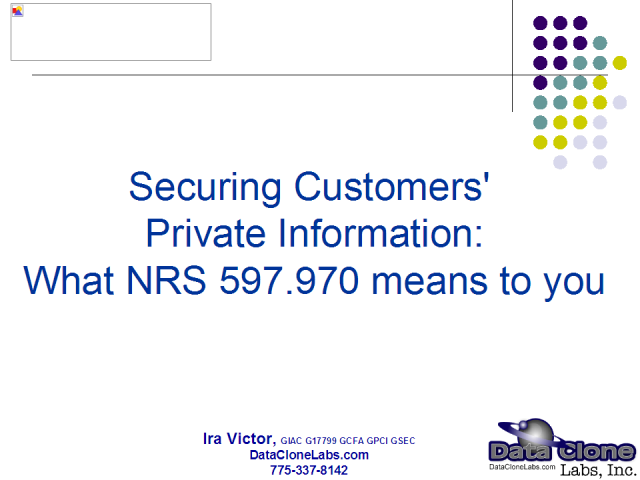 If you do business in Nevada you are now required to protect certain private information. Some of this information needs to be protected under the Federal Rules of Civil Procedure when litigation occurs.